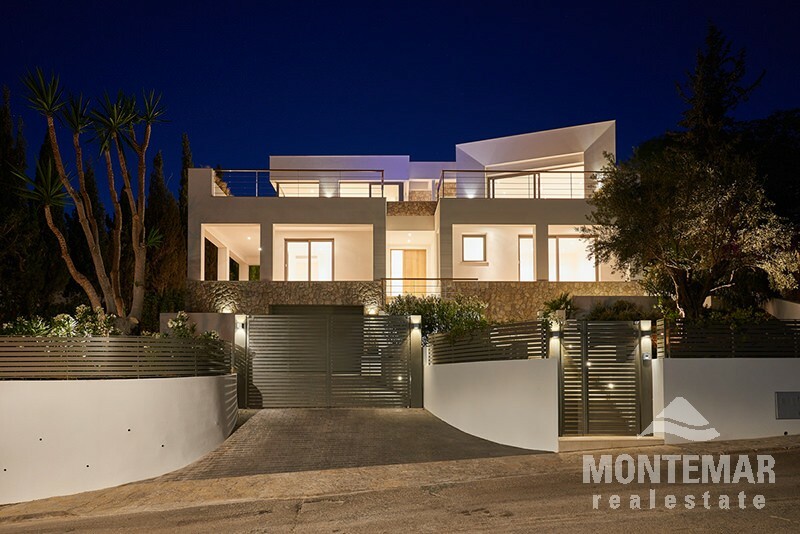 This recently completely refurbished modern villa with 480 m² living space offers a light-filled living/dining area with a huge modern kitchen by Birgit Müller, 4 bedrooms with en suite bathroom and an office. 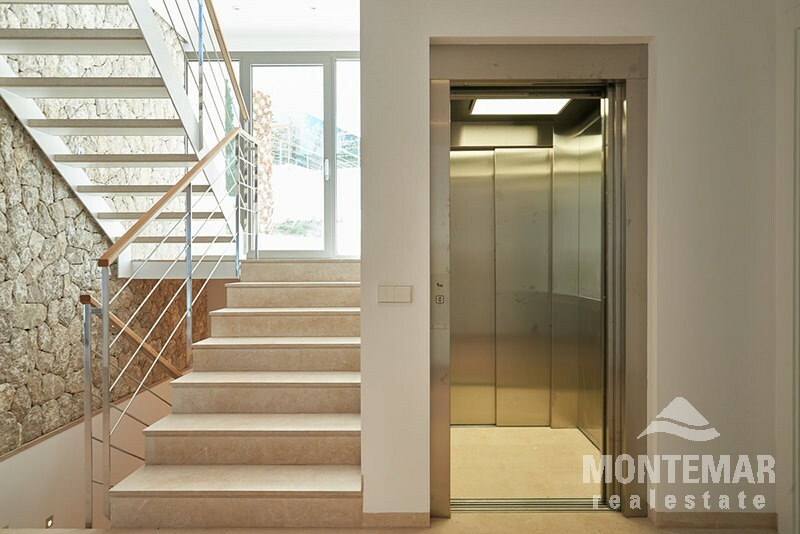 A lift to all levels, underfloor heating with heat pump, air-conditioning in all rooms and Schüco Windows are part of the equipment. The Mediterranean flair conveys thanks to the combination of high quality natural stone walls and floors with parquet. 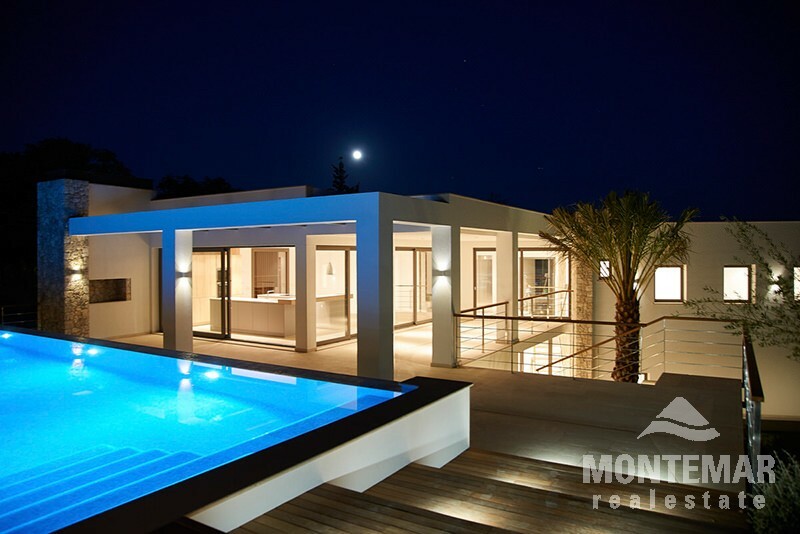 The large pool and the 300 m² partly covered terraces offer perfect outdoor living. "The coast of Blanes" is the original meaning of this area, located above the village of Puerto Portals. Costa d'en Blanes is mainly in possession of various families and is one of the most beautiful residential areas of the island. 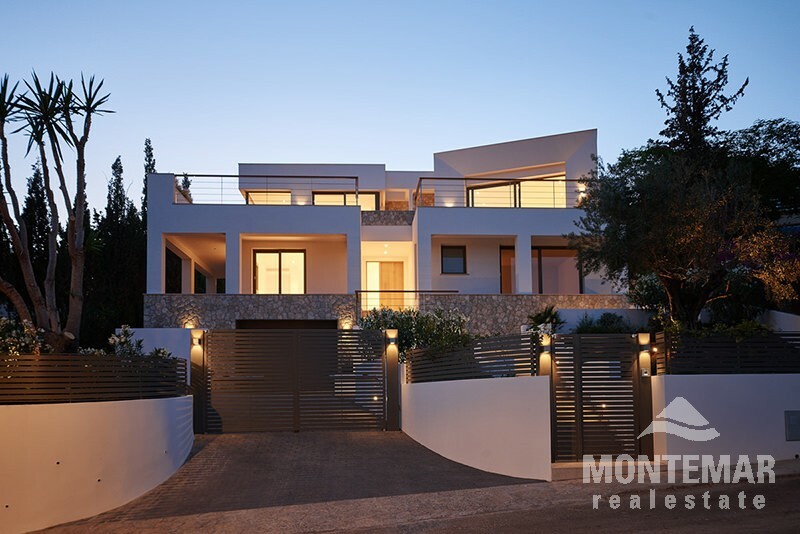 Around 450 villas are located on the hills, most of them offer a fantastic sea view and are situated above the fashionable marina of Puerto Portals. 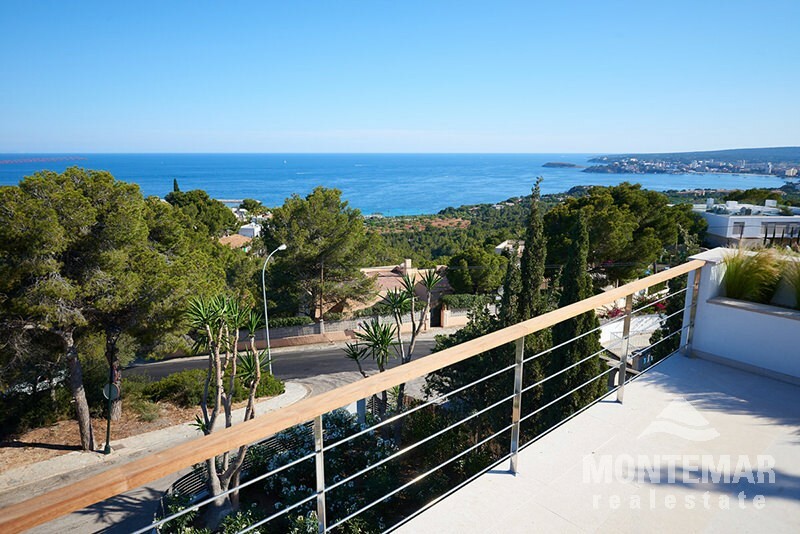 Costa d'en Blanes is located 9 kilometers westwards of the capital Palma and is easily accessible via the motorway. International schools, shopping facilities and restaurants are reachable within a few minutes. The Real Golf Bendinat (The Royal Golf Course Bendinat), the beautiful beaches of Illetas, Puerto Portals and Old Bendinat are only minutes away.